HPTDC Hotel Kinner Kailash offers leisure travellers of Kalpa with memorable stay. Guests can be accommodated in any of its comfortable rooms. They can sit and relax on comfortable beds, while watching their favorite TV shows. Other modern room amenities like: make-up mirror and neat attached bathroom with hot/cold water supply are available within this budget hotel in Kalpa. Leisure as well as business explorers can enjoy astonishingly at this comfortable budget hotel in Kalpa. Guests can dine at the In-house restaurant here. Hotel Kinner Kailash -HPTDC Kalpa is known for traditional hospitality. 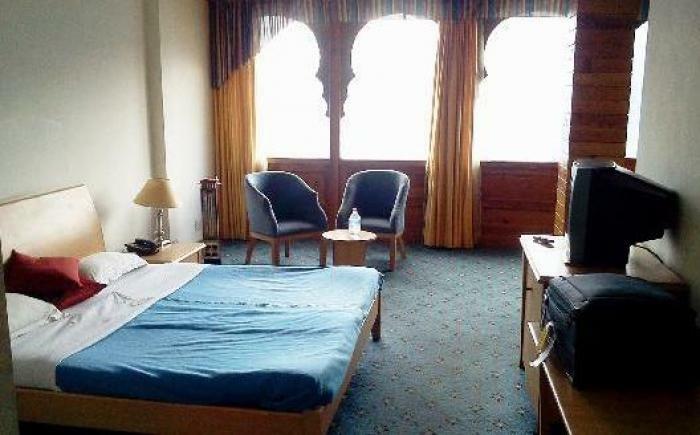 Avail best deal in Hotel Kinner Kailash -HPTDC, Kalpa. Book room in Hotel Kinner Kailash -HPTDC, Kalpa and avail contemporary amenities.